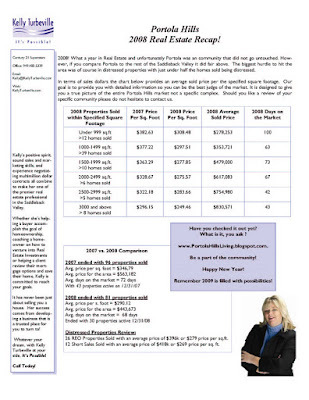 What a year 2008 was in real estate and I am sure you are like many others looking forward to 2009. We can't move forward without saying goodbye to the past so here is a look at how the 2008 closed. If you would like a copy of this report please contact Kelly today!